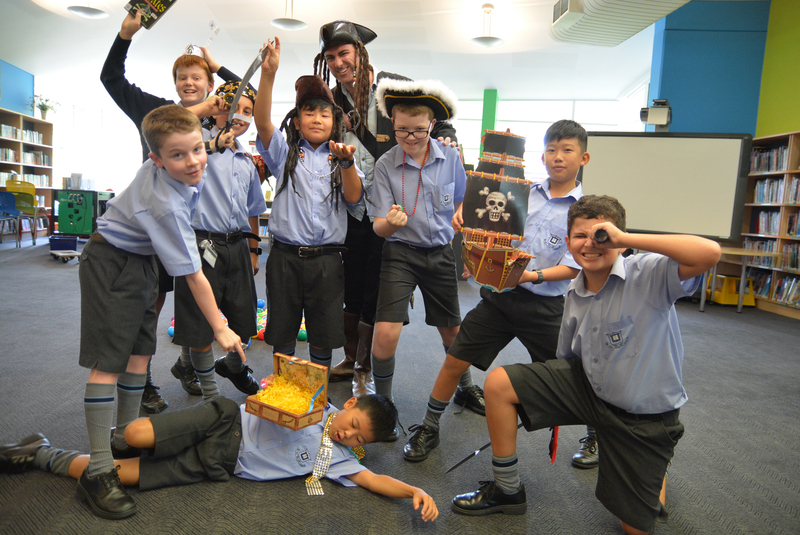 Book Week 2018 day one kicks off with ‘Pirate Plunder’. 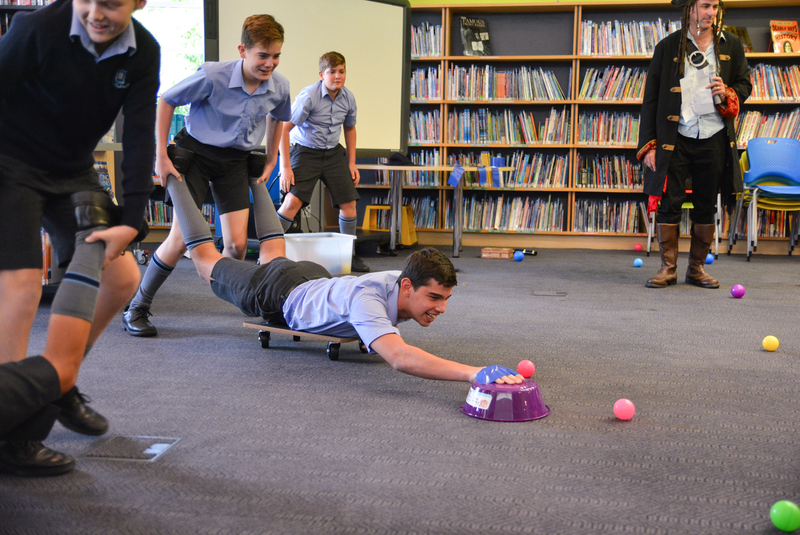 Scurvy ridden pirates arrived in the Middle School Library to compete in the pirate version of the game ‘Hungry Hippos’ at lunchtime. 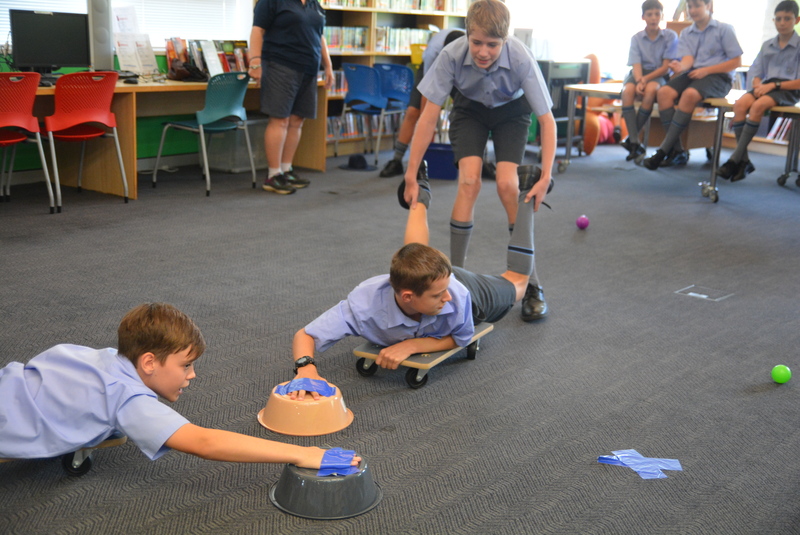 ‘Pirate Plunder’ is essentially the same except the boys themselves are the hippos and try to pillage and plunder the booty back to their teammate. 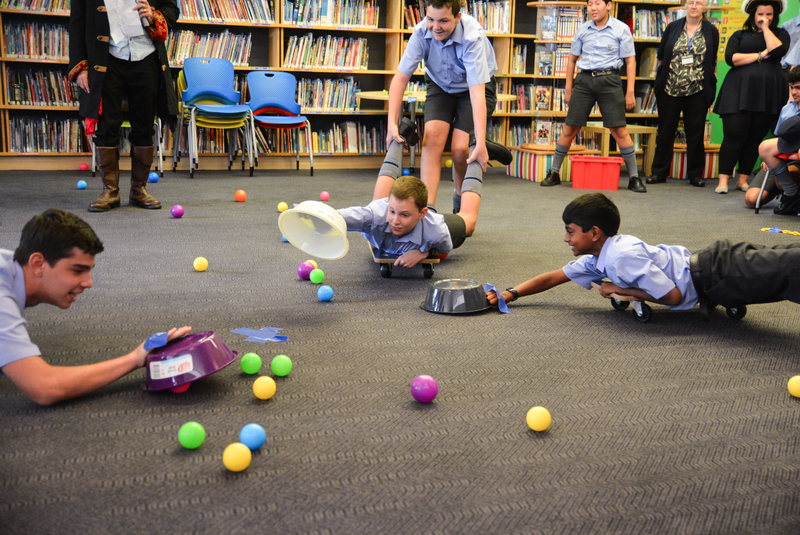 Led by Captain Russell, teams of scallywags and ruffians competed for pride, glory and chocolate pirate bullion. 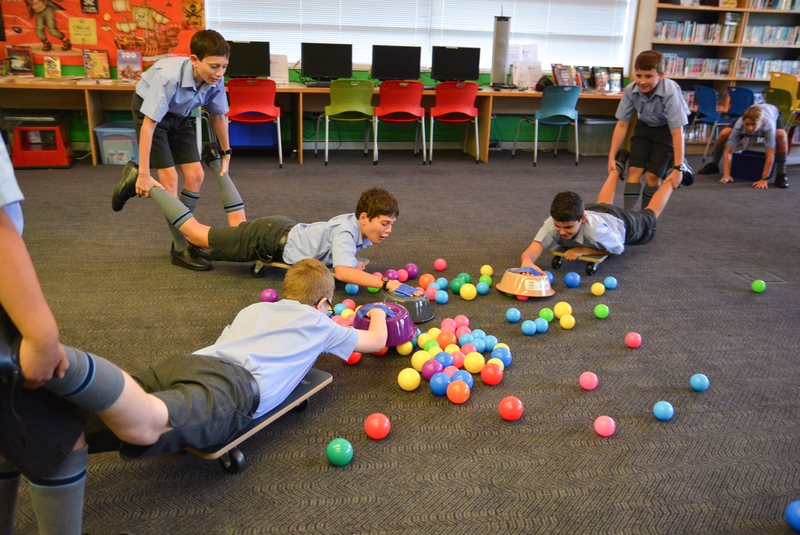 The theme for Book Week this year is “Find your Treasure”, and every day the library will be running exciting activities for the boys. 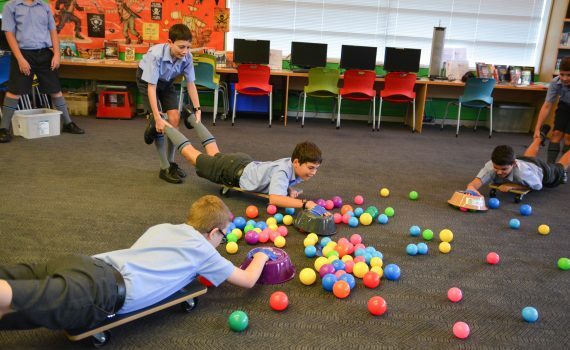 Arrrr, avast! It were a fun game to be sure me matey. 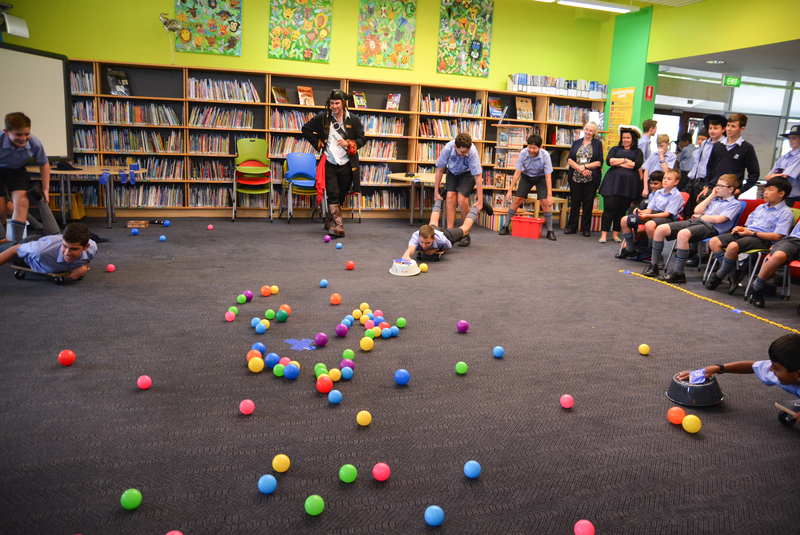 Now ye be makin’ certain ye come back to the library for more piratey fun each lunchtime this week!